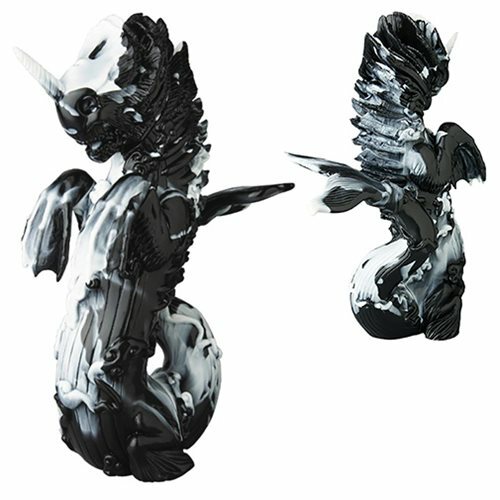 Shopping for Monsters Vinyl Figures? Jointed 10 1/2-inch tall vinyl figure. Inspired by the "ghost whale" from western Japanese mythology. Comes with a Bake-jujira glow-in-the-dark enamel pin and Bikkuriman sticker! Inspired by the "ghost whale" from western Japanese mythology, this Bake-Jukira Sofubi Vinyl Figure stands about 10 1/2-inches tall. The unique figure is jointed at the hands and head and comes with a special limited edition Bake-jujira glow-in-the-dark enamel pin and Bikkuriman sticker!